WARRANTY!!! 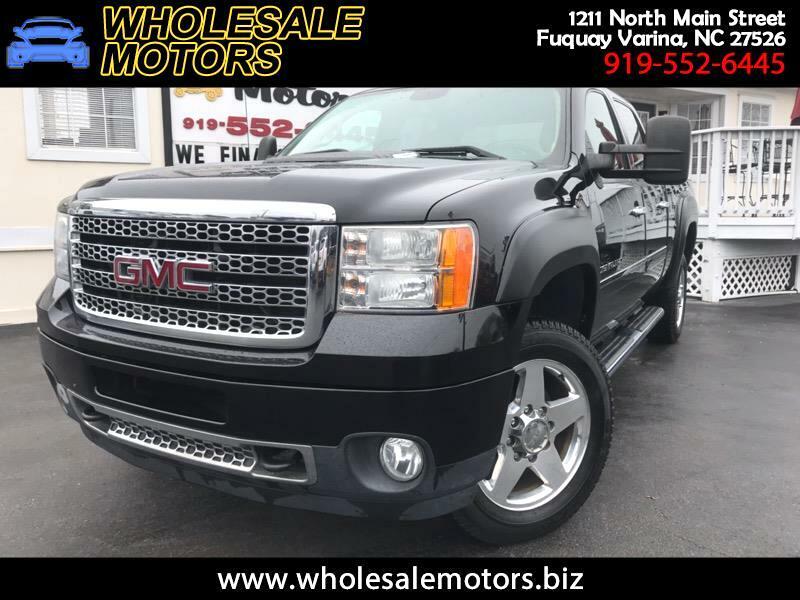 CLEAN CARFAX ONE OWNER/ 2013 GMC SIERRA 2500HD DENAIL/ 6.6 LITER DURAMAX DIESEL ENGINE/ AUTOMATIC ALLISON TRANSMISSION/ FULLY SERVICED/ 120 POINT INSPECTION/ AM/FM RADIO/ POWER WINDOWS/ POWER LOCKS/ POWER STEERING/ LEATHER SEATS/ CRUSIE CONTROL/ TRAILER BRAKE/ DVD PLAYER/ NAVIGATION/ BACK UP CAMERA/ SUNROOF/ CRUSIE CONTROL/ BLUETOOTH/ POWER MEMORY SEATS/ WE FINANCE!!! Warranty Description: PROGUARD 30 DAY OR 1,000 MILE LIMITED POWER TRAIN WARRANTY.